Scientists have been trying to figure out why fish that normally eat algae are eating the plastic particles that float in the ocean. Those tiny fragments absorb chemicals like PCBs and DDT, and the average person in the U.S. eats about 15.8 pounds of fish and shellfish a year. Researchers are trying to determine whether humans are eating fish contaminated with toxic chemicals, and are looking at the feeding behavior of fish as part of that work. 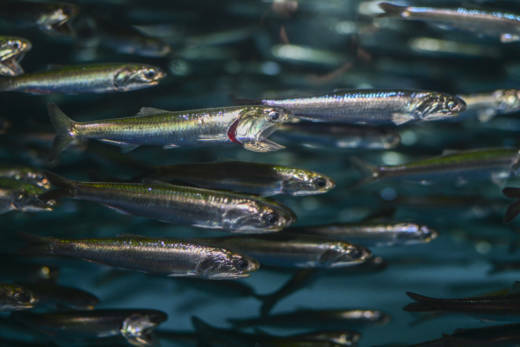 In a new study from UC Davis, researchers tested wild-caught anchovies and discovered the fish actually use smell to find food. 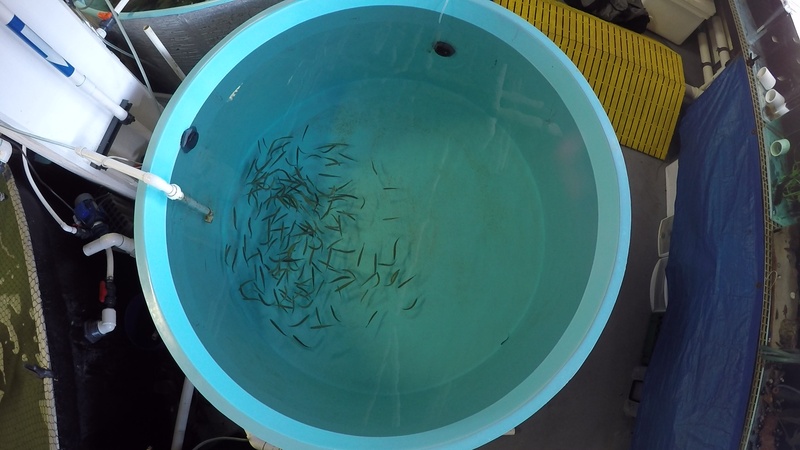 Published recently in Proceedings of the Royal Society B: Biological Sciences, the study is the first to document this foraging behavior in anchovies. Study author and ecologist Matthew Savoca, who is now at the National Oceanic and Atmospheric Administration, says the fish didn’t mistake clean plastic for food, only plastic covered in algae. The algae makes the trash smell like something to eat. "This plastic probably looks attractive to these animals as well as potentially smelling attractive," Savoca says. "Animals like anchovy or sea birds aren’t the only animals that make decisions based off multiple senses; I mean, we do this all the time, right?" The former UC Davis grad student says the animals' reactions to algae-covered plastic were quick and pronounced. "When the fish were responding—both to the odors of their food and the odors of marine plastic—their response was so obvious, that was kind of surprising," says Savoca. In both cases, the fish changed their swimming behavior and moved toward the algal smell. Savoca says scientists don’t yet know how much plastic or how much toxic exposure humans might get from eating fish. But he says the reason for concern is that chemicals get more concentrated as they move up the food chain. The study follows two other UC Davis reports revealing that sea birds eat plastic because it smells good and that a quarter of fish sampled from California and Indonesian markets contained trash in their intestines. There's no proven way to completely rid the ocean of plastic debris (although one man is trying). So the best way to reduce plastic in fish is to stop it from polluting the ocean in the first place.